Activities: that tasks that are running on the system, the apps and processes that are running in the background. Applications: all the applications installed on our device, both those that we’ve downloaded and those that are part of the operating system. Favorites: tasks and applications that we’ve bookmarked as Favorites. History: it’s our history of accesses and actions carried out with QuickShortcutMaker. In these categories, you’ll see that you can search manually by scrolling through the lists but also by using the search engine for which purpose you’ll only have to insert the right keywords. Once you’ve found the app or task that you want, access it and check the different actions available. Those actions are inherent to the app itself and will depend on its nature. In other words, if we’re talking about a game, you can use this tool to create shortcuts to each match, to the settings menu or to visit the social networks of its developers. Once you’ve found the options that you’re interested in, simply click on Create to create the shortcut on your Android’s home screen. 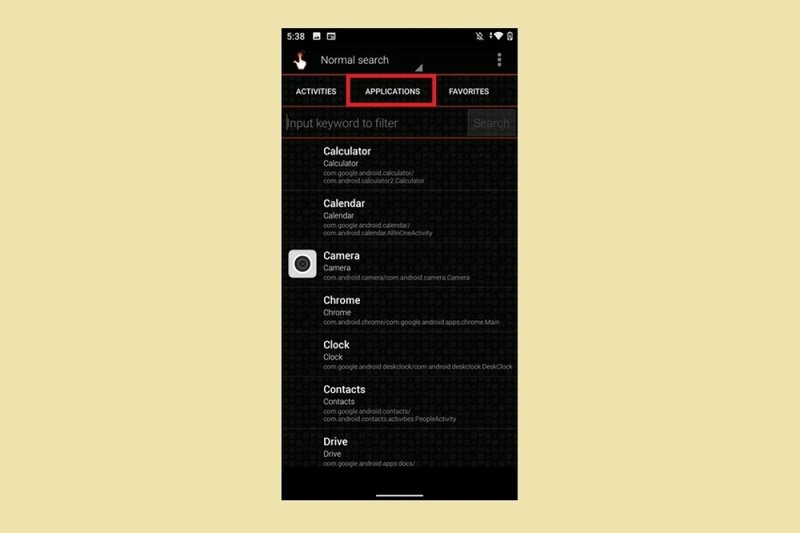 Another interesting function is the possibility to access to information about the app, which is exactly the same data that we can get from the applications manager in the Settings menu.